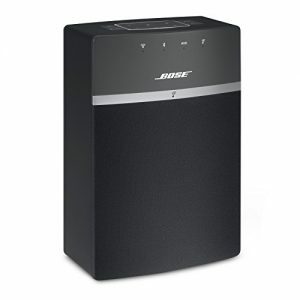 The SoundTouch family by Bose is really popular and has already evolved into its third generation. The SoundTouch 10 Series III is the most affordable option to discover Bose's multi-room enjoyment. Starting at from $159.00 you will be equipped with a finely tuned sound system providing a range of different features. This is remarkable, as Bose is a premium manufacturer. The build quality is excellent with flamboyant design. You get to choose between black and white color. Unlike SoundTouch 20 and 30, the SoundTouch 10 is rather small and has no display. Yet it does come with remote control and programmable buttons. The sound bar is easy to set up. 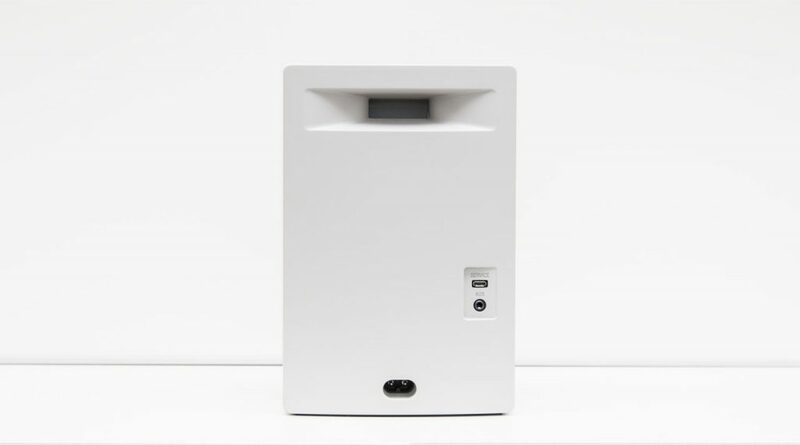 The power adapter is integrated into the compact upright case, so you only need to plug in the power cable. 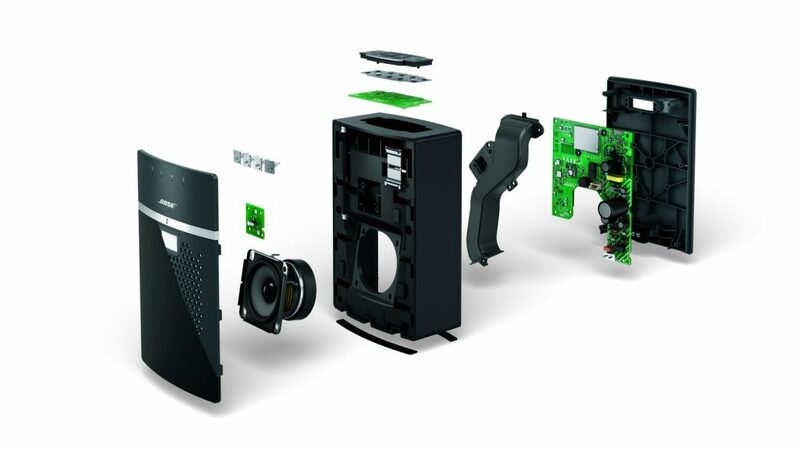 As the device has no display, you will have to rely on instructions coming from the Bose SoundTouch app, which will take you through several steps of the installation. Basically, the speaker will set up a temporary wifi network that you have to connect with. Now you can access the speaker and assign a target network, usually by entering SSID and password for your home wifi. With this completed the speaker is ready for action. 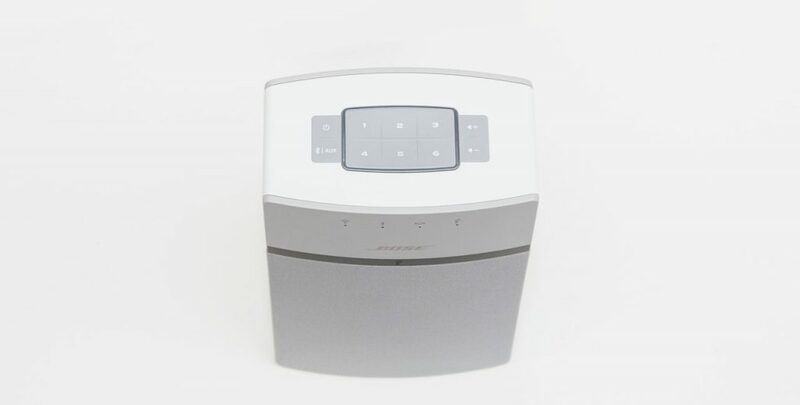 The Bose system does not use a separate host or signal amplifier – because it is not necessary. There just needs to be one speaker connected to power. Conveniently, the app is not only available for iOS and Android but also for Windows and Mac. And it can be used the same way on almost all of these platforms. Alternatively a computer or laptop can be connected to the speaker via USB for setup – this is the only use of the USB port, though. In the app, the choice of music services is limited to only a few: Spotify, Deezer and Amazon Music Unlimited. I find this a bit meager for a brand like Bose, but with a large variety of internet radio stations and access to my iTunes music library I still have a lot of music to choose from. It is possible to seamlessly stream music from my Macbook on the speaker. Reading the music library took a while, but other than that it works rather quickly. If you want to know more about pros and cons and details of the app, please have a look at my Bose article, where you will see how well Spotify has been integrated. The speaker comes with an AUX port that lets you connect additional playback devices, such as an MP3 player. The AUX cable is not included. Setup with the app and Wifi will require a router, if you don't have one you can also use Bluetooth. I took my speaker to a party at a friend's place once, which is a situation in which I did not want to spend an hour setting up. Actually, I simply switched to Bluetooth, paired my smartphone with the speaker and started playing music with the app. Music streams absolutely stutter-free in Bluetooth mode and you can even group more than one SoundTouch devices for multi-room mode – impressive! I still prefer Wifi though, which is more easy on my smartphone battery. In Wifi mode the phone will only tell the speaker to play a song on Spotify and the speaker will stream it directly from the internet. Theoretically, the smartphone could then be switched off without causing the music to stop playing. The small speaker lacks a display, but that's really no big deal. It comes with a remote control that is exactly the same as that of the bigger family members, and is even compatible, and lets you access most of the features while being really reliable. Even when there was no direct visual contact to the speaker I was still able to control it. If you can't find your remote, you can use the buttons on the device – so you don't have to take out your smartphone just to start your favorite radio station. It can be assigned to one of six preset buttons that let you choose playlists, songs or radio stations. The speaker seems to be focused on highs, while I found the mids slightly flat and the lows were more in the background. That's not really surprising, given the size of the device. I would use a speaker of this size in my bathroom or kitchen, I guess. For a more powerful sound experience I would definitely recommend to add one or two more SoundTouch products to the system. Nonetheless the SoundTouch 10 can be played enormously loud – which, however, does not sound very pleasant and is not advisable to do. 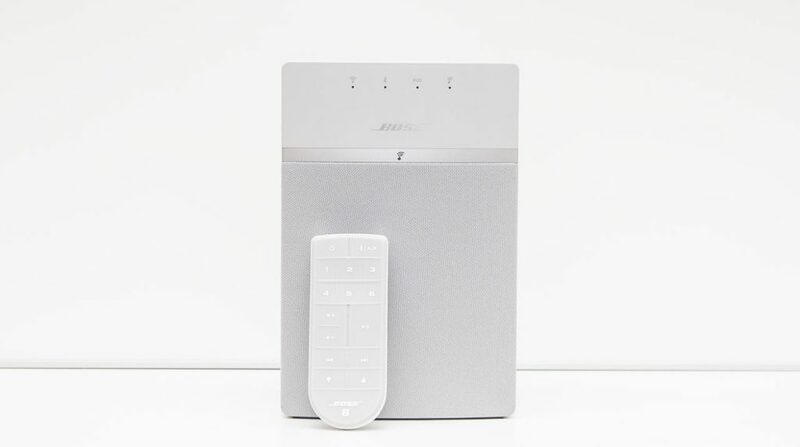 Affordable option to start the Bose multiroom experience. Convenient handling with programmable buttons and remote control is a plus. Spotify has been integrated perfectly.